A colossal western state of India, Maharashtra is the state bordered by states like Goa, Madhya Pradesh, Gujarat, Karnataka and Andhra Pradesh. 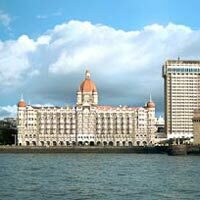 This state is one of the most sought after destinations for tourists in India. The tourism in Maharashtra offers almost everything that a tourist quests for, be it immaculate beaches, hill stations, wildlife sanctuaries, waterfalls, spectacular forts, hued festivals, primordial shrines and historical monuments. 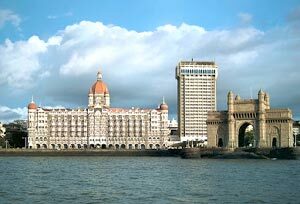 On arrive in Mumbai, meet our representative and get transfer to your pre-booked hotel, where you will be allotted with a room on ready to occupancy basis. After traditional welcome check in at the hotel for an overnight stay. In the morning, we will be taking you out for a city tour. We will be visiting Gateway of India and Elephanta Caves, 7th century rock cut cave temples devoted to Lord Shiva. Later return back to the hotel for an overnight stay. After breakfast in the morning, we will drive to Lonavala, the ultimate tourist destination for nature lovers. Thereafter, refresh yourself with a trip in store that will cover Karla and Bhaja Caves. An overnight stay at the hotel. The day is free to explore the beautiful surroundings. Enjoy an overnight stay at the hotel. In the morning, we will drive to Nasik. On arrival in Nasik, check in at the hotel. In the afternoon, we will proceed for city tour. We will be visiting Sunder Narayan Temple - Sita Gupta Caves - Trimbak. Later, return back to the hotel for an overnight stay. In the morning, we will drive to Shirdi. On arrival in Shirdi, we will check in at the hotel. Later, we will be visiting the most reputed temple in Shirdi, "The Temple of Sai Baba of Shirdi". Spend your whole day in the sacred atmosphere of Shirdi. Roam around in the spiritual atmosphere. An overnight stay at the hotel. In the morning after breakfast, we will be driving to Aurangabad. On arrival in Aurangabad, check in at the hotel. Rest of the day is free for leisure. You can explore the beautiful & serene surroundings of Aurangabad during your free time. An overnight stay at the hotel. In the morning after breakfast, we will be taking you out for an excursion to Ajanta caves. The Buddhist caves of Ajanta predate those of Ellora, so if you want to see the caves in chronological order you must first visit Ajanta. Later return back to the hotel for an overnight stay. Today in the morning, we will be visiting Ellora, whereas, Ajanta Caves are noted for their paintings. Here, it is the sculpture, which is remarkable. It is believed that the builders of Ajanta moved here when they suddenly ceased construction at their earlier site. In the afternoon, we will be driving to Pune. Enjoy a night stay at the hotel. In the morning, we will leave for the city tour. Later, we will continue our drive to Mahabaleshwar. On arrival in Mahabaleshwar, check in at the hotel for an overnight stay. Today in the morning after breakfast, we will be visiting this beautiful hill station. It has pleasant walks, good lookouts and the area has interesting historical connections with Shiva ji. In the afternoon, you can go to Panchgani. It is also a popular hill station and splendidly located for nature lovers. An overnight stay at the hotel. Today, we will start our day a bit early in the morning and drive back to Mumbai. On arrival in Mumbai, check in at the hotel. After getting refreshed, you will be free to relax in the hotel. An overnight stay at the hotel. Today, we will transfer you to the airport to catch an international flight for onward destination.